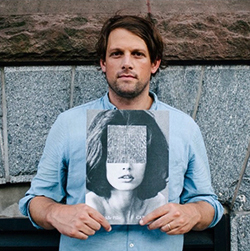 Brendan Dugan founded Karma, a gallery, independent publisher and bookstore located in New York City in 2011. A second space was opened in Amagansett in 2012. The gallery’s programing manifests in monthly exhibitions and its publishing platform allows for new and non-traditional collaborations with emerging and established artists. Karma has worked with Dike Blair, Will Boone, Cecily Brown, Carol Bove, Joe Bradley, Dan Colen, Matt Connors, Ann Craven, Carroll Dunham, Roe Ethridge, Urs Fischer, Robert Grosvenor, Mark Grotjahn, Wade Guyton, Mary Heilmann, Shio Kusaka, Sarah Lucas, Brice Marden, Bjarne Melgaard, Richard Prince, Julian Schnabel, Collier Schorr, Rudolf Stingel, Torey Thornton, Stanley Whitney, Michael Williams, and Jonas Wood, among others. Roe Ethridge was born in 1969 in Miami, Florida. He received his B.F.A. in Photography in 1995 from The College of Art, Atlanta. Ethridge’s work has been shown extensively at institutions around the world, including MOMA/PS1, New York (2000); The Barbican Center, London (2001); Carnegie Museum of Art, Pittsburgh (2002); Institute of Contemporary Art, Palm Beach (2004); The Institute of Contemporary Art, Boston (2009); Museum of Contemporary Art, Los Angeles (2009); Museum of Modern Art, New York (2010); Les Recontres d’Arles, France (2011); and the Hammer Museum, Los Angeles (2015). Recent solo museum exhibitions include Momentum 4: Roe Ethridge, Institute of Contemporary Art, Boston (2005); Roe Ethridge—Selected Works, Charles Riva Collection, Brussels (2012); and Roe Ethridge (curated by Anne Pontégnie), Le Consortium, France (2012, traveled to Museum Leuven, Belgium). In 2008, Ethridge was included in the Whitney Biennial, Whitney Museum of American Art, New York. In 2011, he was shortlisted for the Deutsche Börse Photography Prize. 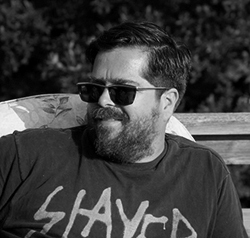 Andy Harman is set/production designer and sculptor based in New York. Harman was born and raised in Ohio and received his B.F.A. from Kent State University, where he developed a direct flat-footed humor that is a hallmark of his creativity. Growing up in pre-internet Ohio, Harman found inspiration from what was at hand—magazines, Spiegel catalogs, music videos, and movies—these formed his knowledge of the outside world. After graduation, Harman moved to Las Vegas, inspired by the book Learning from Las Vegas by Robert Venturi and Denise Scott Brown. Evading for the moment New York City and the art world there, he was far more inspired by the constructed world of Las Vegas, where he absorbed lessons relating to the seduction and selling of the identity, culture and the dream of America. He furthered his art education at Yale University, where he earned an M.F.A. Afterward, he moved to New York, where he joined the “cultural production machine,” establishing a career in set production design. Harman has established a strong career collaborating with top photographers, designers, magazines and advertising agencies. At the same time, he has been building his own studio for making artwork. The intersection between art and commerce has been, and continues to be, an enormous inspiration to him, apparent in his work with photographers such as Roe Ethridge and in his own work. 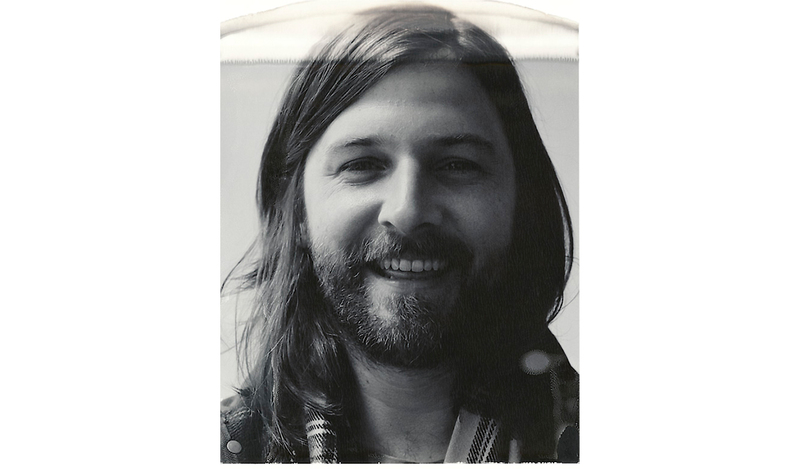 Kevin Moore is an independent advisor, curator and writer based in New York. 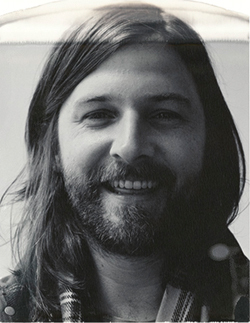 His work focuses on the history of photography, film/video, and contemporary art. 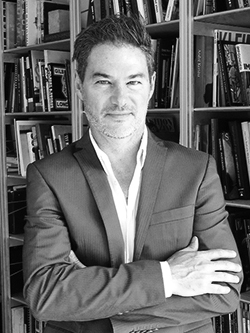 He earned a Ph.D. in art history in 2002 from Princeton University and has worked in curatorial departments at the Metropolitan Museum of Art and the Fogg Art Museum, Harvard University. Since 2013, he has been the Artistic Director and Curator of FotoFocus, Cincinnati. Moore is the author of Jacques Henri Lartigue: The Invention of an Artist (Princeton University Press, 2004) and Starburst: Color Photography in America 1970-1980 (Hatje Cantz/Cincinnati Art Museum, 2010). He is a recent contributor to Roe Ethridge: Neighbors (Mack, 2016); Photography at MoMA: 1920-1960 (Museum of Modern Art, 2016); Eric Boman, A Wandering Eye: Photographs 1975-2005 (Damiani, 2016); as well as The Guardian (2015) and Aperture (2015). 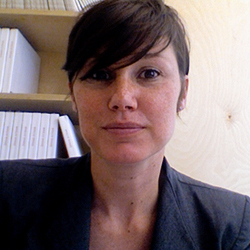 Liz Mulholland is the Partner and Director of the Andrew Kreps Gallery, located in New York. Since opening its doors in 1996, the gallery’s program has featured both American and European artists whose work has been included in major American and international exhibitions. Before joining the gallery in 2006, she worked in San Francisco with photographers Jim Goldberg, Larry Sultan and Lewis Baltz at the Stephen Wirtz Gallery and was director at both John Berggruen and Jack Hanley Gallery. During this time she founded the not-for-profit exhibition space Queens Nails Annex in San Francisco’s Mission District. Mulholland holds a Masters degree in Visual Criticism from the California College of Arts, San Francisco. 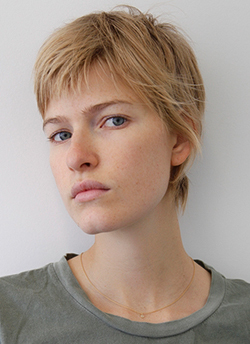 Louise Parker was born in 1989 in St. Paul, Minnesota. She graduated in 2012 from Bard College, where she studied photography under Stephen Shore. She is currently represented as a model by The Society Model Management in New York City as well as represented by agencies across Europe. Her own work as a photographer has been published in New York Magazine, W Magazine, Dazed & Confused, and Vogue.com. In 2016, she was selected for the FOAM Talent Award. Her work will be exhibited in Amsterdam, London, and Paris in the upcoming year. Parker lives and works in Los Angeles.